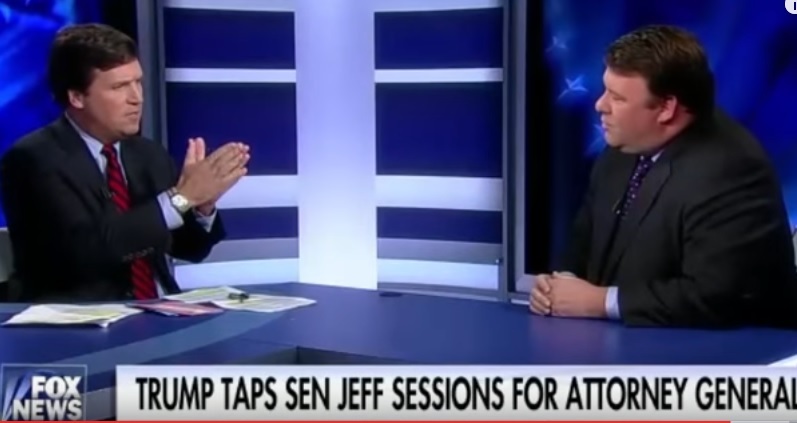 FOX News host Tucker Carlson had far left crank Jonathan Allen from Roll Call on his new show tonight to discuss Allen’s ugly hit piece he wrote on Senator Jeff Sessions. Carlson started off the interview calling Allen’s article, “one of the most unfair things I’ve ever read,” and it went downhill from there. The segment was a hit with prominent conservatives. Oh wow. @TuckerCarlson is going to make FoxNews great again. I'm calling it. He will have THE TOP RATED show. What @TuckerCarlson is doing right now on Fox is exactly what has to be done. We have to rip apart liberal bs on every platform. SOMEONE HAS GOT TO POST THE INTERVIEW @TuckerCarlson just did with some columnist from The Hill. This is the greatest TV I've ever seen.